In early May 2017, the US Senate voted 57 to 42 to appoint Scott Gottlieb, MD, as the 23rd Commissioner of the FDA. Dr Gottlieb is a physician, medical policy expert, and public health advocate who previously served as the FDA’s Deputy Commissioner for Medical and Scientific Affairs, and as Senior Advisor to the FDA Commissioner. In 2013, he was appointed as a member of the federal Health Information Technology Policy Committee, a group that advises the US Department of Health & Human Services on issues pertaining to healthcare information technology issues. He also served as a Senior Advisor to the Administrator of the Centers for Medicare & Medicaid Services, where he worked on implementing the Medicare drug benefits. In a recent press statement, American College of Rheumatology (ACR) President Sharad Lakhanpal, MBBS, MD, voiced support for Dr Gottlieb in his new role. “The ACR congratulates Dr. Scott Gottlieb on his confirmation as FDA Commissioner. As prescribing doctors, rheumatologists share Commissioner Gottlieb’s goal of optimizing FDA biosimilar and generic drug approvals to increase competition, lower costs, and improve our patients’ access to safe and proven therapies,” Dr Lakhanpal said. He also emphasized the importance of adequately funding the FDA to ensure that biosimilars reach the patients who need them. “The FDA continues to play a critical role in lowering biologic drug costs as it works to bring safe, effective, and lower-cost biosimilar alternatives to the marketplace. 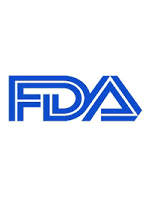 Therefore, it is imperative that FDA have the funding and resources it needs to expedite biosimilar drug approvals, hire and retain qualified staff, issue guidance, and perform adequate post-market surveillance,” he stated.